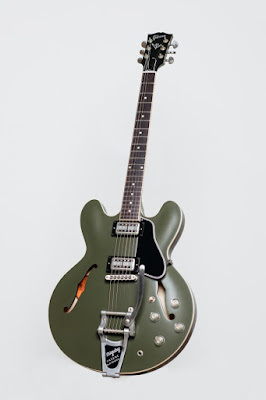 GIBSON announced on January 15, 2019 the release of a limited-edition Chris Cornell Tribute ES-335 guitar. 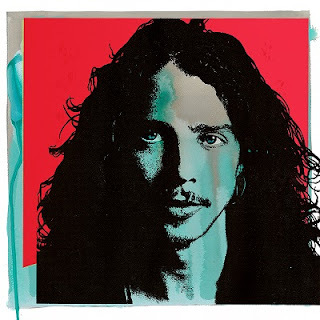 The guitar will officially be unveiled at “I Am The Highway: A Tribute To Chris Cornell” the star-studded concert event honoring Chris Cornell’s legacy and contribution to music history on January 16, 2019 at The Forum in Los Angeles. For more information, visit: chriscornell.com. GIBSON partnered with Cornell to work on his original ES-335 Artist Model and it was immediately clear that he had an innovative eye for guitar design. Features like the aged Lollartron humbucking pickups, clear “no number” Top Hat knobs, Olive Drab Satin finish and Mother-of-Pearl Chris Cornell ‘signature’ peghead inlay make this guitar one of GIBSON’s most distinct artist offerings to date. Available in a limited release of only 250 pieces available for purchase worldwide in Spring 2019. The “I Am The Highway: A Tribute to Chris Cornell” will feature members of Soundgarden, Temple of the Dog and Audioslave, as well as, special performances from the Foo Fighters, Metallica, Ryan Adams and more. Jimmy Kimmel will be on hand to host the concert. Tickets will benefit The Chris and Vicky Cornell Foundation, and The Epidermolysis Bullosa Medical Research Foundation, a nonprofit dedicated to raising funds and awareness for this painful and debilitating genetic disorder. GIBSON will donate two of the limited-edition Chris Cornell ES-335 models in partnership with the show to raise additional monies for both foundations.